On Friday 1st July Miss Doran, Mr Whitehead and Miss Lush took a group of Year 3 - 6 children to Matthew Arnold. 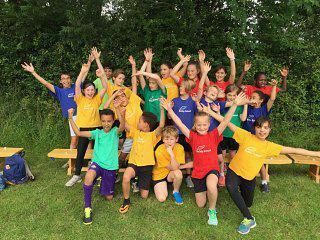 They competed against West Oxford, North Hinksey, St Swithuns and Appleton in track and field events. We were so proud of their enthusiasm, determination and team spirit. Botley scored a total of 97 points which meant we were the overall WINNERS!!!!! Big thank you to Mrs Neil and Mrs Rahim for helping with transport and to all the parents who came to support.